I'm often asked why I wear baggy shapeless clothes when I have an okay figure underneath. I guess my answer is that I don't see baggy as shapeless. Quite the opposite actually. Apart from the beautiful dresses that the love of my life, Yan To makes for me, I'm not a huge dress person. 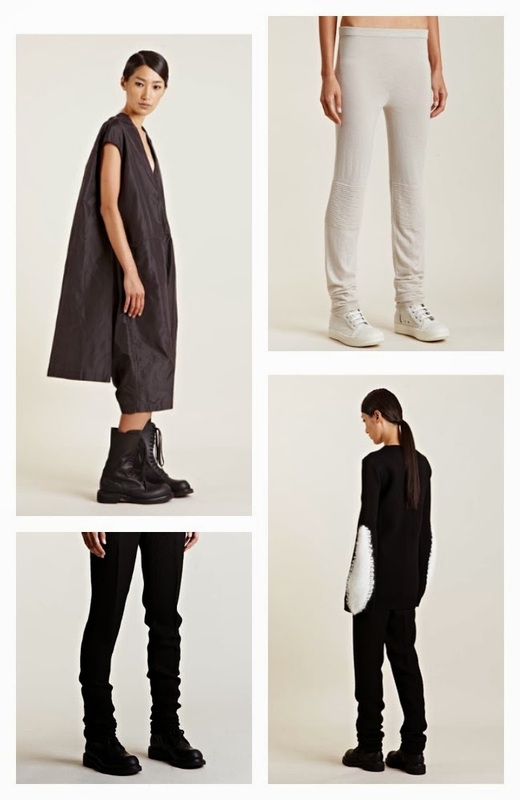 My day to day style is usually courtesy of Rick Owens and I'm loving his AW13 collection. These pieces are my faves. Rick's Spring/Summer14 catwalk show caused a storm last month. Dancers and beatgirls. Not a single size 6 model in sight. Real fashion for real women.